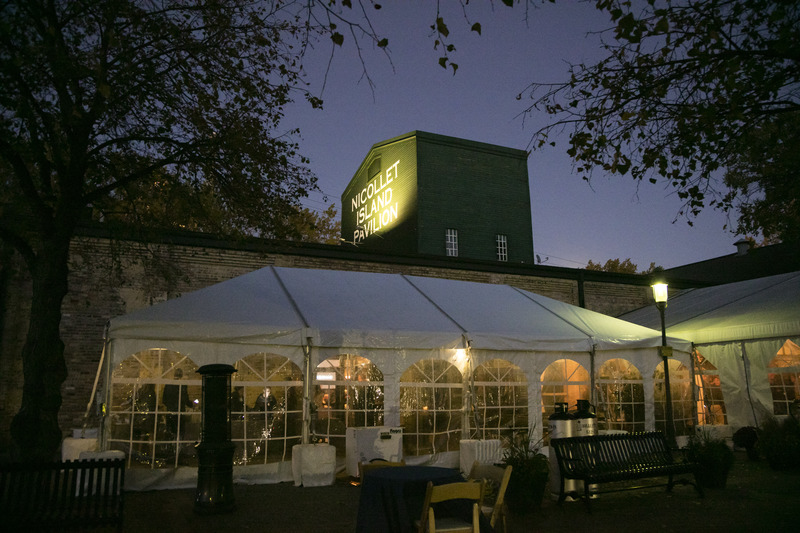 Kids for the Boundary Waters - Update from D.C.! 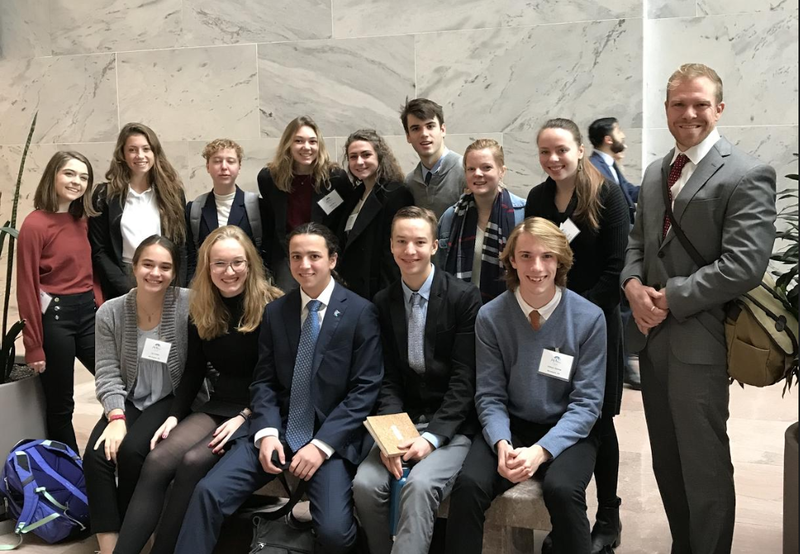 Today, on Give to the Max Day, I write to you from Washington, D.C. where I’m leading a contingency of 40 high school and college-aged kids, who are Wilderness Warriors from across America—including Peru—advocating to our nation's elected and appointed officials on behalf of our favorite Wilderness: The Boundary Waters Canoe Area. It is your support that makes trips to D.C. like ours possible. Give NOW during the Power Hour to help the Campaign to Save the Boundary Waters win additional Give to the Max Day funding that will take this fight even further. 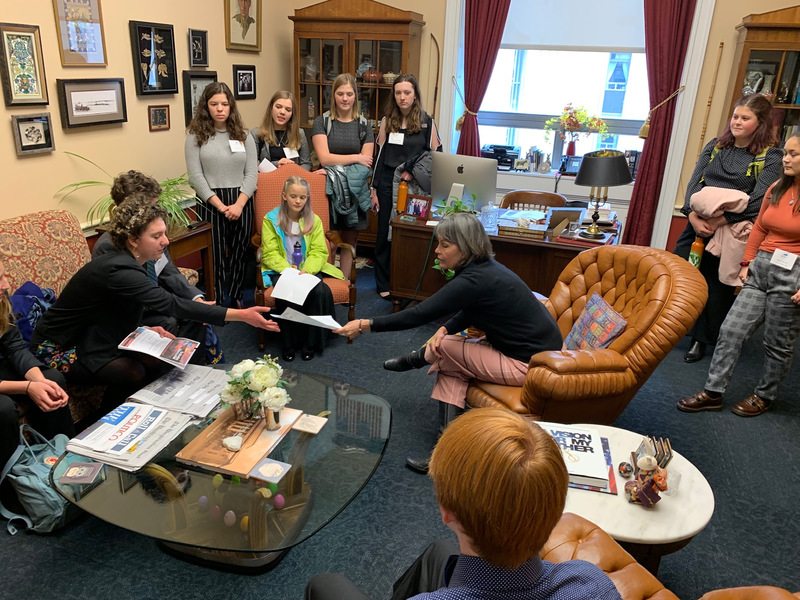 Kids for the Boundary Waters meeting with Representative Betty McCollum in Washington, D.C., November 13, 2018. 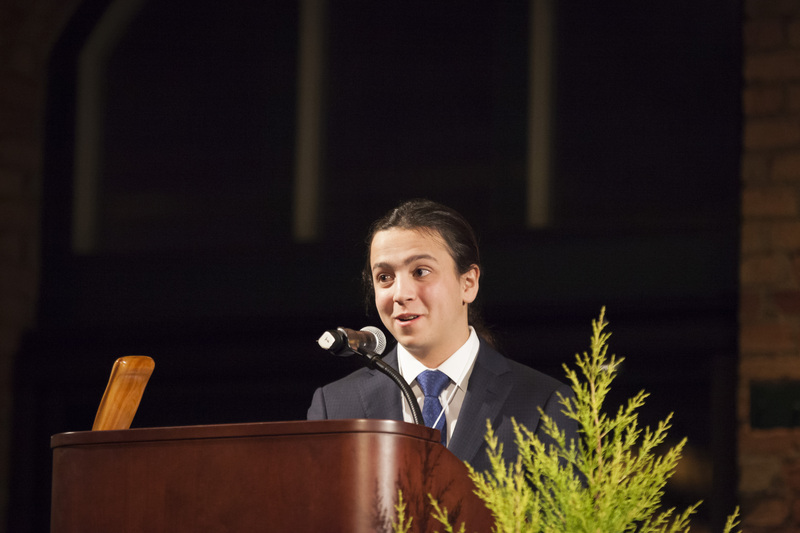 Most of you know my story by now: at 13 years old I was diagnosed with leukemia and made a wish that became my mission—to protect the Boundary Waters against the threat posed by a giant, foreign mining company called Antofagasta. Antofagasta has proposed sulfide-ore copper mining within the watershed of America’s most visited and pristine water wilderness. This type of mining is very different from Minnesota’s traditional taconite mining; sulfide ore copper mining has never been done in Minnesota, and has never been done anywhere without significant environmental damage. This foreign mining conglomerate wants to invade and endanger our wilderness in order to exploit and extract America’s resources. The result? Waters, wildlife and woods that will be forever altered and poisoned. Please give NOW during this crucial Power Hour to help the Boundary Waters from this dangerous sulfide-ore copper mining. 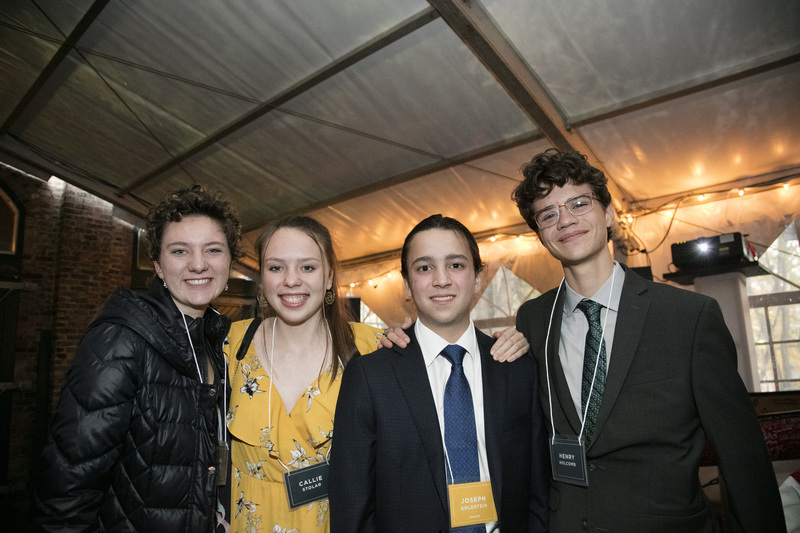 Kids for the Boundary Waters in Washington, D.C., November 13, 2018. In February I took my last dose of 3.5 years of daily chemotherapy, closed the door on cancer and decided it was time to up my game on behalf of the Boundary Waters. And so on June 19th, in front of the Washington Monument and with a small group of equally committed teenagers by my side, together we launched a new initiative: Kids For The Boundary Waters (Kids4BW). We are back in D.C. this week, working as hard as we can to save this special part of America for all of us. Please join my team of Wilderness Warriors in protecting this special place for every generation. Right now is the Give to the Max Day Power Hour, a monumental hour that gives the organization who raises the most money during this hour of giving thousands of extra dollars to put towards their cause. 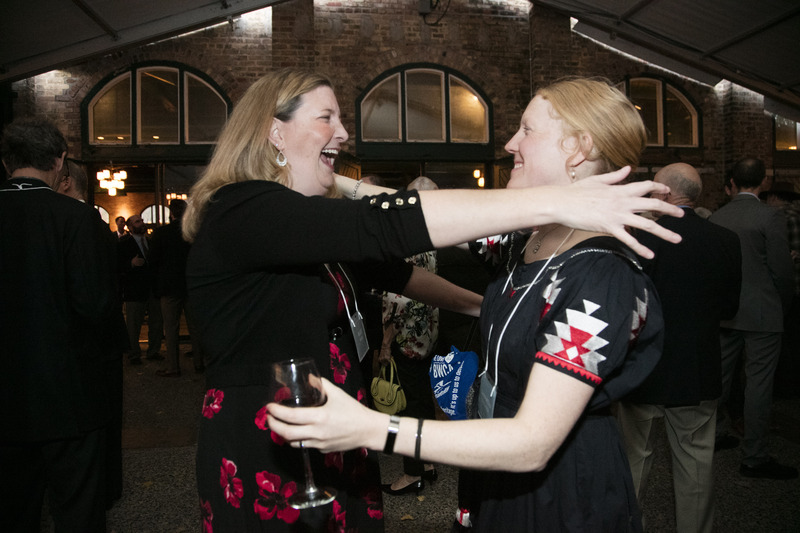 Not only will your donation help boost the Campaign’s chances of gaining thousands of dollars in additional funds, if you GIVE RIGHT NOW, you'll also be entered to win cool outdoor prizes. Even better news? 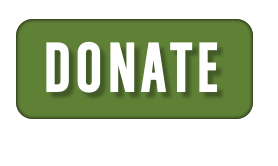 When you donate right now, your gift will be doubled! We’ve received a generous $65,000 match, significantly increasing the impact of your donation. Please donate now to make the most impact. 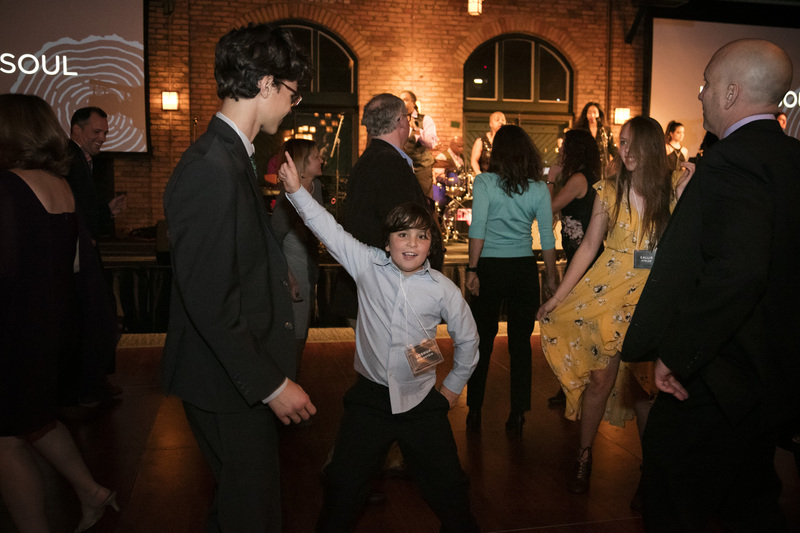 Kids for the Boundary Waters, 40th Anniversary Celebration, October 22, 2018. Living with cancer is no joke, but it is also a surprisingly good teacher. Although I’ll still be sorting lessons for years to come, the one thing I have learned for sure is that sometimes life only gives you one chance to get it done. This is it. 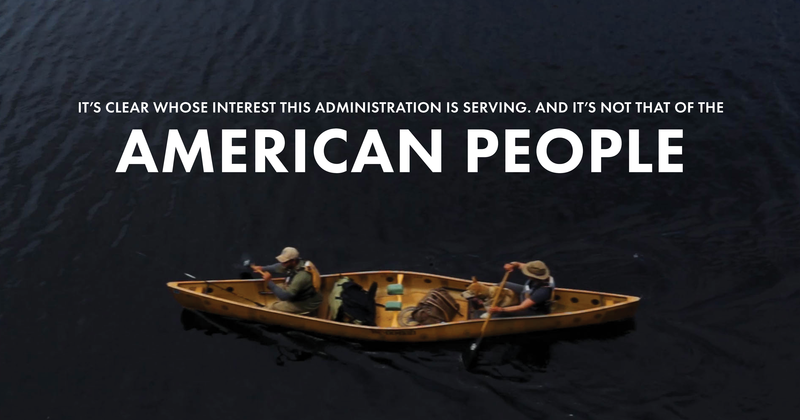 This is our chance to save America’s Boundary Waters Canoe Area Wilderness. On behalf of Kids4BW Wilderness Warriors and the Save The Boundary Waters Campaign, thank you. Your support – your email, your comments, your amplification of our voices and, of course, your donation dollars, are all critically important as we work towards permanent protection of the Boundary Waters. On October 21, 1978, the Boundary Waters Canoe Area Wilderness Act was signed by Jimmy Carter, protecting the Boundary Waters. 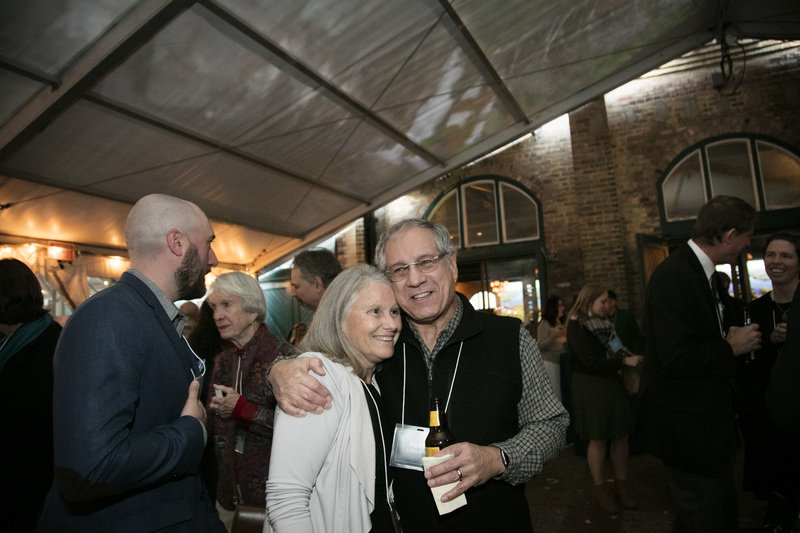 This past week, on October 22, 2018, Boundary Waters lovers from across the country came together to celebrate the Wilderness and inspire the continued fight to keep the Boundary Waters clean and protected for future generations. 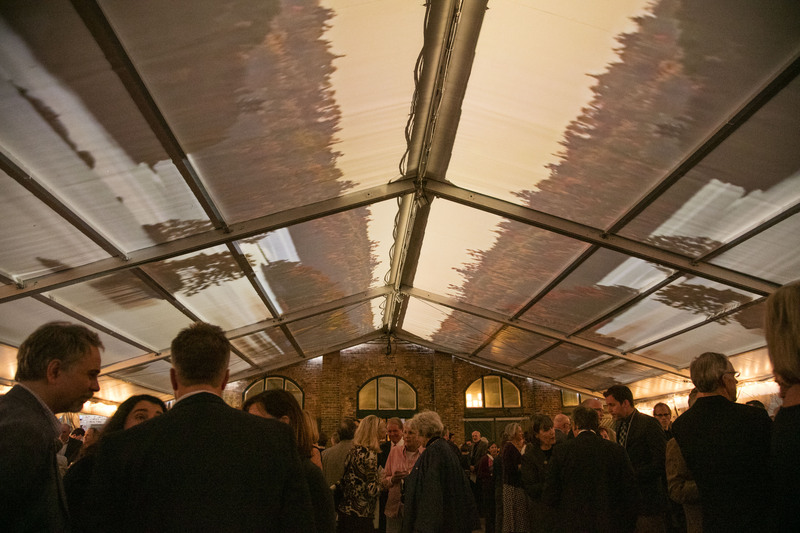 Guests arrive early in the evening for the start of the VIP reception. 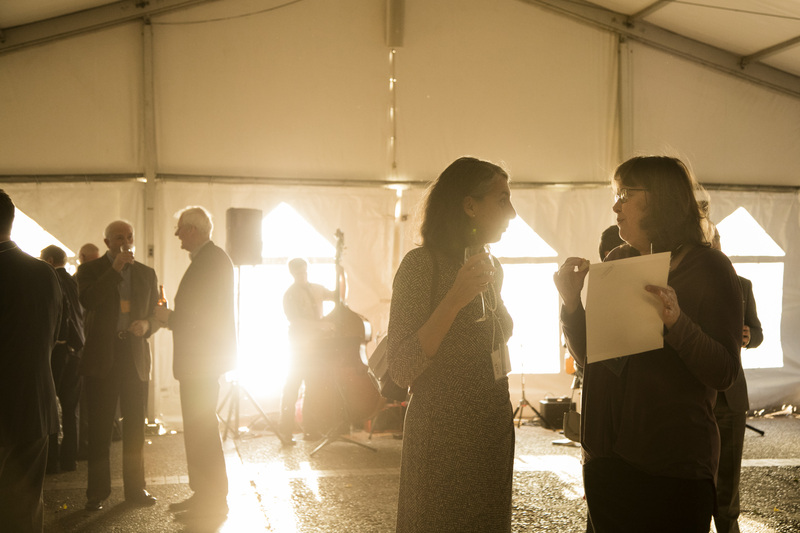 Conversations and smiles are exchanged in the outdoor tent space. 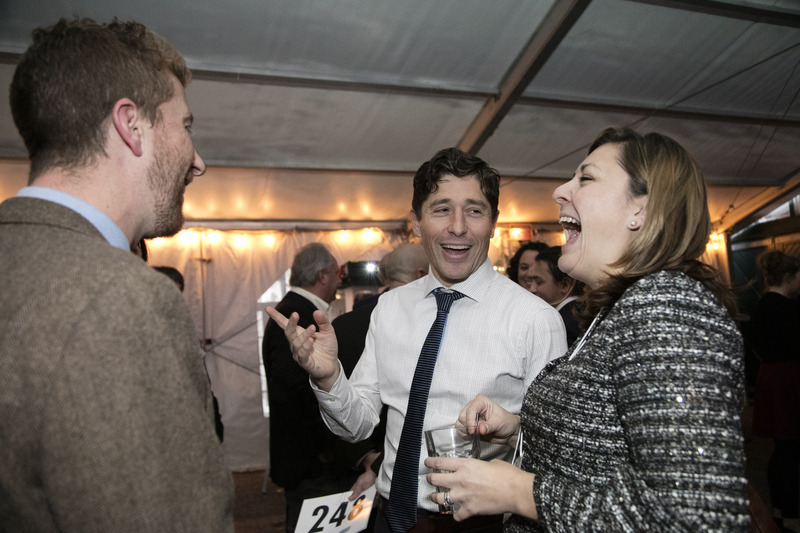 NMW Co-chair Adam Fletcher, Minneapolis Mayor Jacob Frey, and Special Guest Christy Goldfuss share stories and laughs. 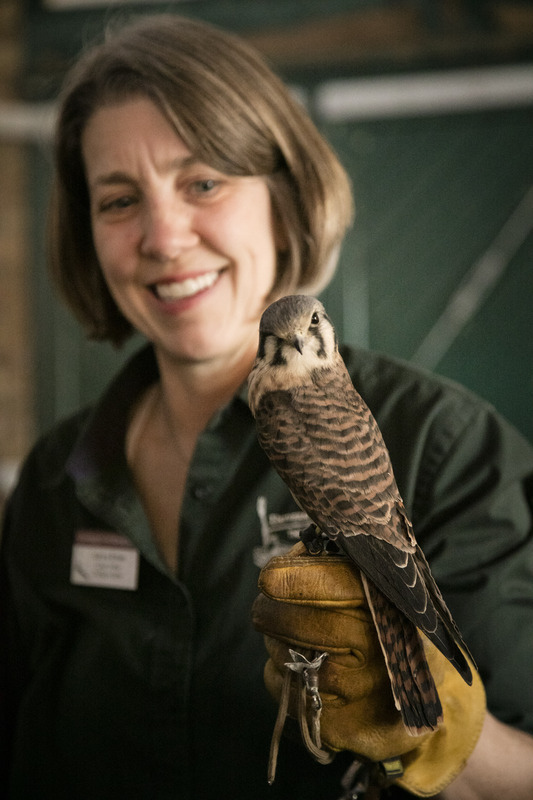 Experts from the University of Minnesota Raptor Center chat with guests about these striking birds. 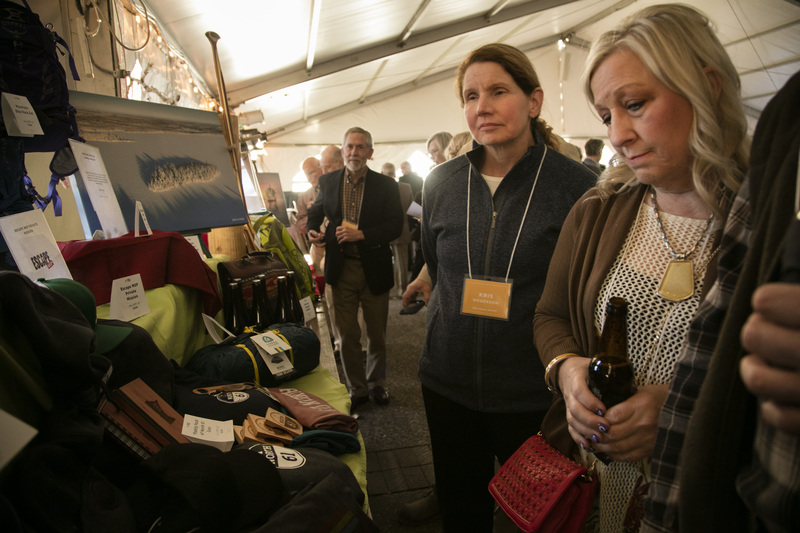 Guests peruse the silent auction table before placing their bids. Beautiful scenery from the Boundary Waters Wilderness is projected over the party below. Old friends reunite before sitting down for dinner. Special guests Tom Vilsack, Betty McCollum, and Walter Mondale greet happily as they take their seats. First speaker of the evening: Becky Rom, National Campaign Chair. 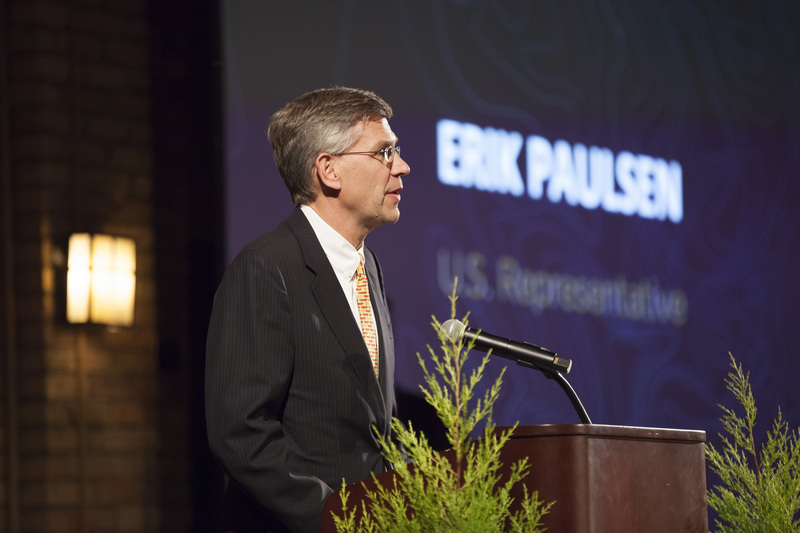 Second speaker of the evening: Erik Paulsen, U.S. Representative. Third speaker of the evening: Betty McCollum, U.S. Representative. 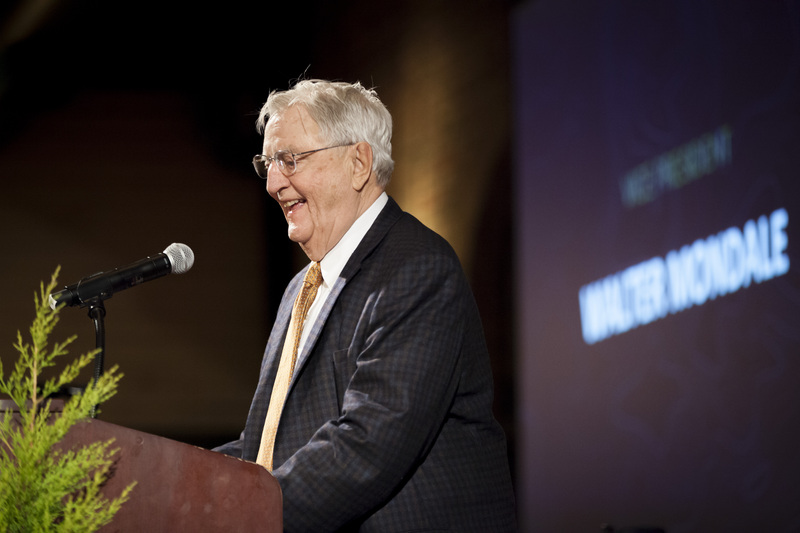 Fourth speaker of the evening: Walter Mondale, Vice President of the United States. 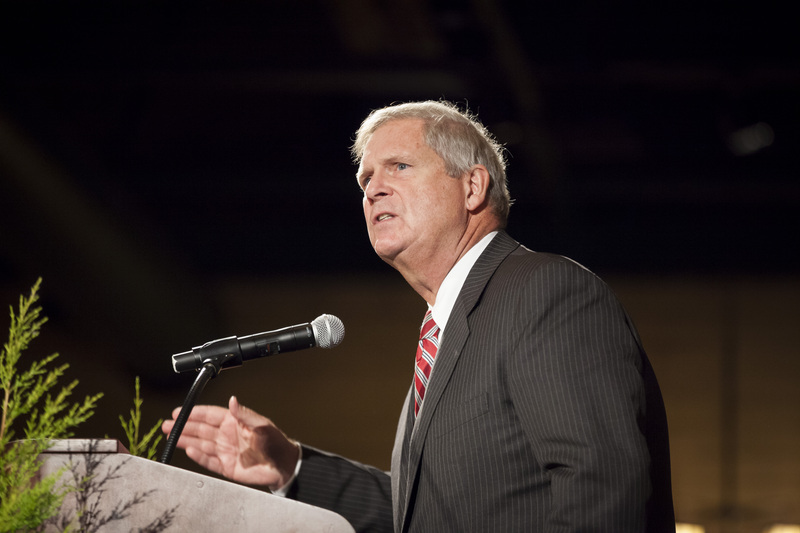 Fifth speaker of the evening: Tom Vilsack, Former U.S. Secretary of Agriculture. 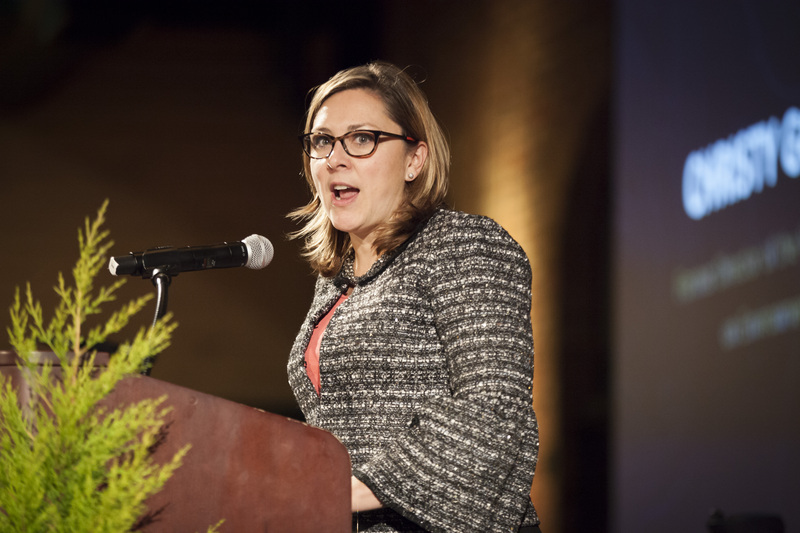 Sixth speaker of the evening: Christy Goldfuss, Former Director of the White House Council on Environmental Quality. Joseph Goldstein, founder of Kids for the Boundary Waters, speaks after receiving the Outstanding Wilderness Warrior Award. Four board members of Kids for the Boundary Waters. 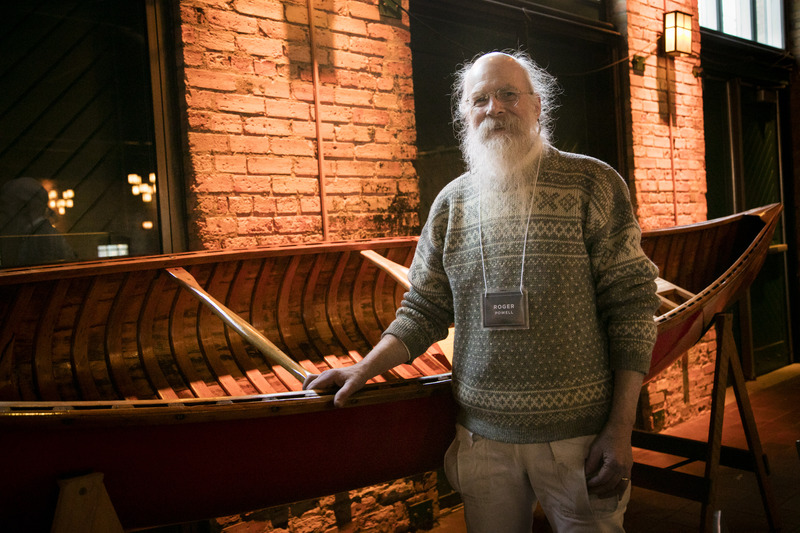 Roger Powell stands proudly with his refurbished canoe before the live auction. 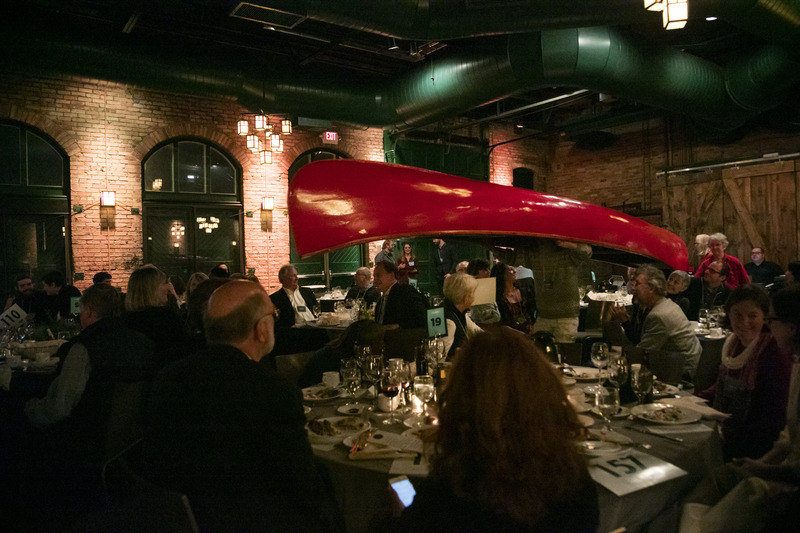 Roger Powell portages his canoe between tables during the live auction! 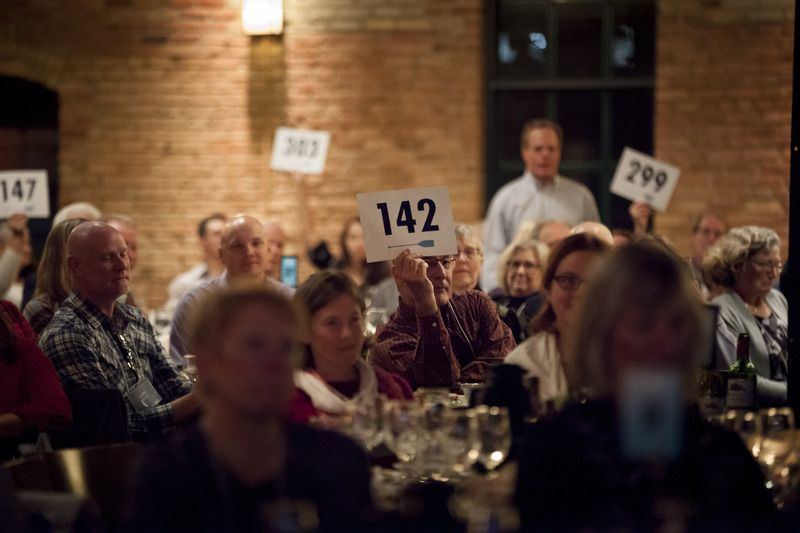 Guests "raise their paddles" to bid in the live auction and donation waterfall. Every seat was filled in support of the Boundary Waters Wilderness Act. Following the dinner and auction, Universoul brought new energy to the room with music and dancing. 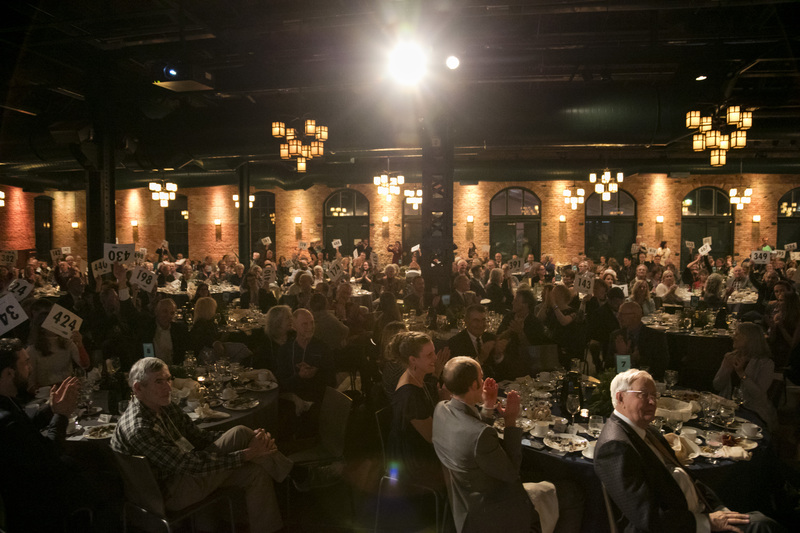 Thanks to all who attended the 40th Anniversary Celebration of the Boundary Waters Wilderness Act. 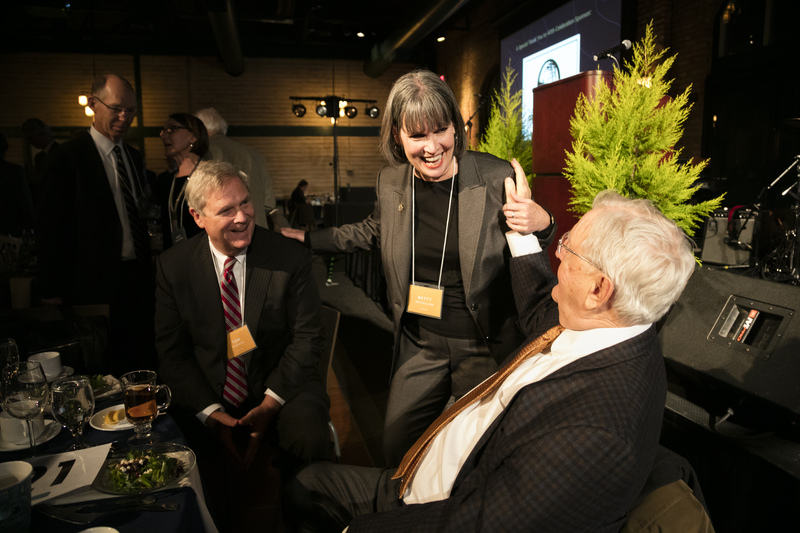 The celebration was energizing and filled with hope for the future of this wilderness; here's to 40 more years of Boundary Waters protection! 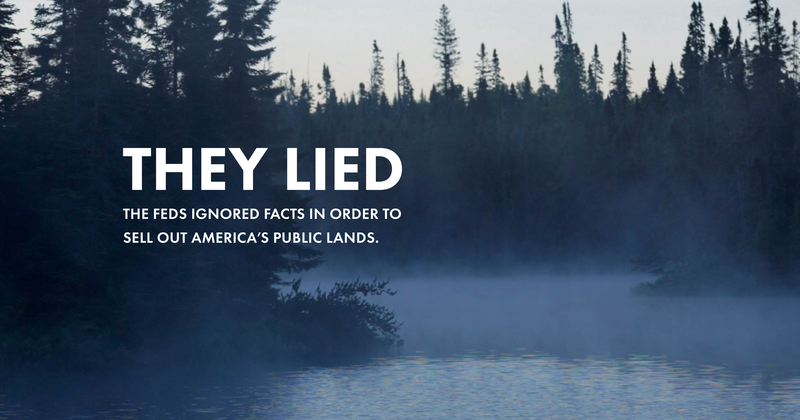 THEY LIED — The feds ignored facts in order to sell out America’s public lands. This past September, the Trump Administration officials announced that the application for a mineral withdrawal, which would have protected Minnesota’s Boundary Waters Wilderness from the threat of sulfide-ore copper mining, was cancelled. The Administration ignored science and facts, and did not complete a promised study on the social, economic and environmental harm that sulfide-ore copper mining would do to America’s most visited Wilderness. There is no indication the required environmental assessment was ever completed nor was it ever put out for public comment, which is normal practice. 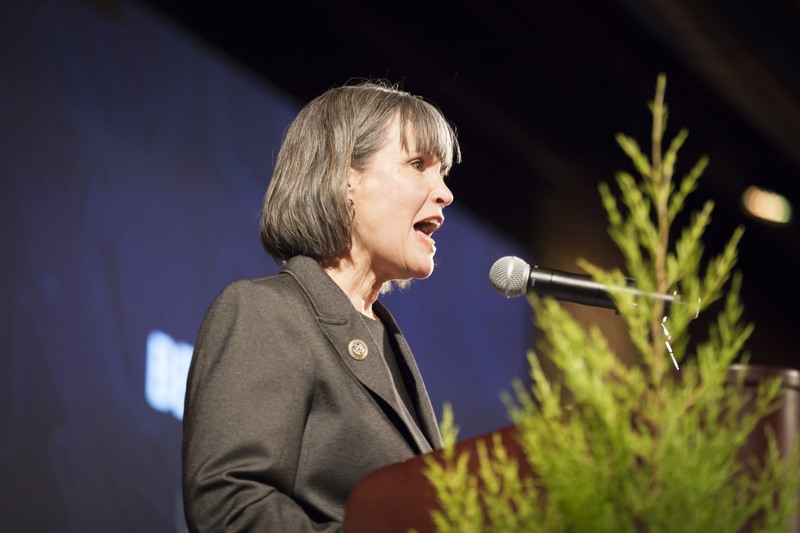 In May 2017, in response to Congresswoman Betty McCollum (D, MN), two senior members of the Trump Administration – Sonny Perdue, U.S. Secretary of Agriculture (USDA), and Tom Tidwell, Chief of the U.S. Forest Service – promised the U.S. House Interior Appropriations Committee that they would “absolutely” complete an all-important environmental study intended to determine whether the watershed flowing into the Boundary Waters is the right place to consider sulfide-ore copper mining. On September 6, 2018, the U.S. Secretary of Agriculture cancelled the Forest Service’s application for a withdrawal before the environmental study was complete. In doing so, he not only broke his word, but also turned his back on the Boundary Waters and all who love it. How do we know the environmental study was never completed? The USDA’s September 6 press release never exactly said that the agency had completed it, and failed to provide a link to the study. 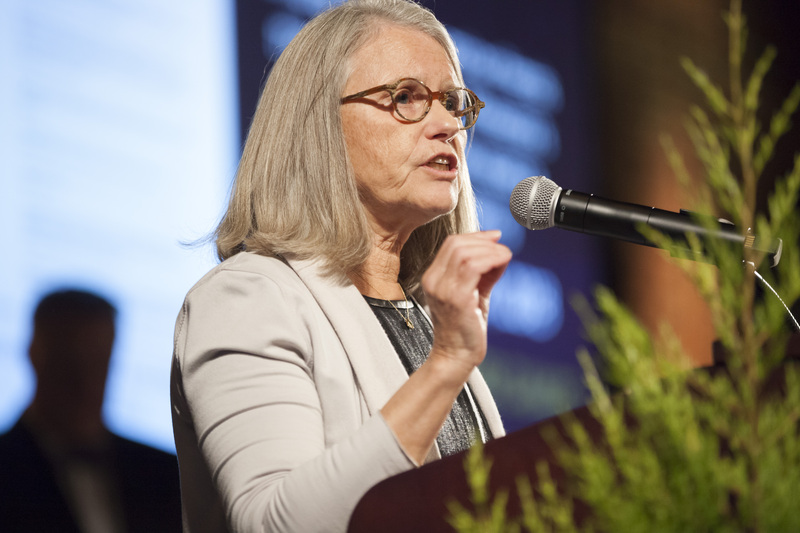 The Secretary’s cancelation of the study happened nearly two months before the U.S. Forest Service’s estimated date for when the final environmental review document would be available (November 1, 2018). 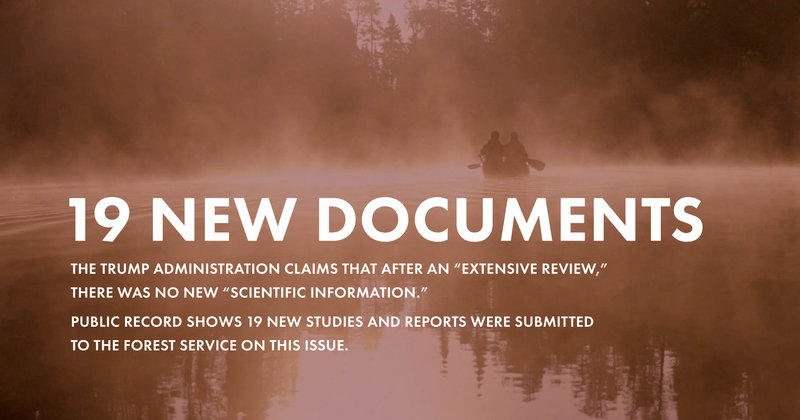 19 SCIENTIFIC STUDIES - The Trump Administration claims that after an “extensive review,” there was no new “scientific information.” However, public record shows that 19 new studies, reports, and scientific journal articles were submitted to the Forest Service on this issue. $950 MILLION MORE FROM AN AMENITY-BASED ECONOMY THAN A COPPER MINE - The same Harvard study showed that a healthy Boundary Waters creates a healthy business boom for the long-haul: a 20-year mining ban would produce far greater economic benefit and diversity than the proposed Twin Metals mine with up to $900 million more personal income to the local area over 20 years if copper mining is banned. Learn more about the Harvard Study. WE THE PEOPLE DON’T WANT THIS MINE - Hundreds of thousands are speaking out against this mine. Polling shows that more Minnesotans than ever want to protect the Boundary Waters from the threat of copper-nickel mining. Polling results from President Trump’s chief polling firm, Fabrizio Ward, show that 70% of Minnesotans are against sulfide-ore copper mining in the areas near the Boundary Waters Canoe Area Wilderness. It’s clear whose interest this Administration is serving. And it’s not that of the American people. Antofagasta, which owns several copper mines in Chile, has an environmental and social track record that should concern anyone who cares about the Boundary Waters and the surrounding communities. We must continue to speak loudly for this quiet place. We’re ready to take this fight outside. 4 things you can do right now to fight the Trump Administration’s decision to cancel the mineral withdrawal. Last week, Secretary Perdue went back on his word and broke his promise to each of us as American citizens by cancelling an ongoing Forest Service study. The completion of which was Perdue’s prerogative before making any decision on protecting the Boundary Waters, as he himself gave his word during congressional testimony. This study was to establish the science, economics and public opinion before making any decision. Over 180,000 Americans voiced their opinion and volumes of research were submitted proving the awaiting disaster. Without this study, we the people are now denied a reasoned and careful approach, through the silencing of sciences and our collective voices. While there are many reasons to defend the Boundary Waters, I am personally in this fight because I want the Boundary Waters preserved for my kids and generations to come. It is my main motivation and the driver behind why I stay in this fight. Sign the NEW petition and share it. We have an updated petition since the news from September will be automatically sent to your U.S. House member and both U.S. Senators to demand them to either stand with Trump or the American people. Then share the heck out of it—the more people the more power we have. Raise your voice or write it down. Do you have a lot of opinions on this and want to help? While we all needed a moment to let out our frustrations, it’s time to strike back. Post about it on social. Write a letter to the editor, no matter where in the U.S. you live. Host a house party and tell your friends and family. Ask others what they are doing to help save the Boundary Waters. There is no platform or conversation too small to make a difference. Vote for the Boundary Waters. November 6. NOVEMBER 6!!! Remember this date, mark it on your calendar, and text your friends if they need a ride to go vote on November 6. Research candidates now and demand they protect the Boundary Waters. Tell them your vote is a Boundary Waters vote. Donate. If you’ve got the money, we’ve got the time. I put this last because now, more than ever, we need people who can take meaningful actions. Not everyone can make a donation. If you can something as little as $3 makes a difference. Now that the Trump Administration opened up Superior National Forest to new mining prospects, we’re going to need to challenge everything the Administration throws at us. The strength of our Campaign is that people like me and like you from across the country have banded together to protect this special place for any variety of reasons. We all know, once you have experienced the Boundary Waters, it is something that stays with you forever. It becomes a part of who you are and it is worth fighting for. I want to extend a heartfelt thank you to everyone for your support over the past few years. While we face challenges ahead, we are in a strong position to fight back now and into the future. Please stay with us, stay informed, stay in the fight and make your voice heard. Trump Administration breaks promise to protect the Boundary Waters—gives in to foreign mining interests. The decision opens the path for Chilean-based Twin Metals, and any other interested party, the option to lease public lands next to the Boundary Waters for sulfide-ore copper mining. Today, Trump Administration officials announced that they canceled the application for a mineral withdrawal that would have protected Minnesota’s Boundary Waters Wilderness from the threat of sulfide-ore copper mining. The Administration ignored science and facts and clearly did not complete a promised study on the social, economic and environmental harm that sulfide-ore copper mining would do to America’s most popular Wilderness. There is no indication the required environmental assessment was ever completed nor was it ever put out for public comment, which is normal practice. The study had already been downgraded from an Environmental Impact Statement to a less rigorous Environmental Assessment. This comes after Agriculture Secretary Sonny Perdue, whose office oversees the environmental assessment, told a congressional panel that they would “absolutely” finish this key study and make no decisions until after it was concluded. The Boundary Waters is a national icon, one of the last truly wild places on earth, and a major economic driver for Northern Minnesota. The study would have analyzed the threats and costs to the community posed by sulfide-ore copper mining on the edge of the wilderness. Earlier this year the Trump Administration unlawfully reinstated mineral leases to Twin Metals which had previously been denied by the former administration, allowing them to circumvent environmental review. That decision is being challenged in court. Today’s decision flies in the face of strong evidence that sulfide-ore copper mining would have an overwhelmingly negative impact on the land, water and economy of Northeastern Minnesota. It also completely disregards the voices of over 180,000 American citizens who participated in good faith in public comment periods held by the US Forest Service. During the first comment period for the study 98% of respondents urged protection of this wild and beautiful place. 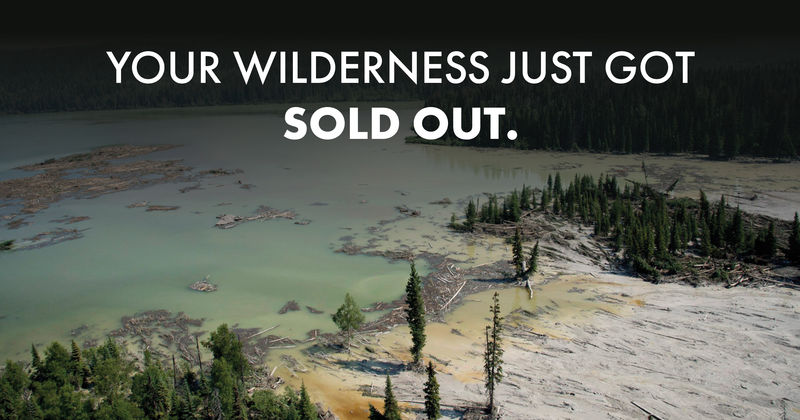 Now, it's up to us to speak loudly for the Boundary Waters. Donate now to defend the Boundary Waters. Littlbug is a Voyaguer sponsor of Pedal to DC. Warm, hearty meals are a quintessential part of backcountry exploration for most people. Out of the simple pleasure derived from a steaming cup of coffee or golden brown walleye-fillet fresh off the skillet deep in the Boundary Waters, Littlbug created a simple, durable, compact stove that’s fueled by twiggs and small sticks that are abundant and easy to gather through out canoe country. Like a warm meal, clean water is one of those basic things that we all need and we are so thankful that Littlbug understands the importance of protecting the Boundary Waters and the more than 800 lakes, rivers, and streams which flow through our nation’s most popular Wilderness. A sulfide-ore copper mine called Twin Metals is being proposed just outside of the Boundary Waters Canoe Area Wilderness and any water pollution from the mine could flow directly into the Wilderness. To raise awareness about this eminent threat my wife, Amy Freeman, and I decided to tow a canoe covered in signatures from the edge of the Boundary Waters to Washington DC. Our 2 month, 2,000 mile journey took us through 9 states and we did over 40 presentations and events in communities all along the way. Littlbug donated $1,000 to help make Pedal to DC possible and we are so thankful that they are supporting the Campaign to Save the Boundary Waters and our efforts to protect this national treasure. Littlbug understands that wild places like the Boundary Waters are critically important and need to be protected for future generations. While I often take a Littlbug stove on Boundary Waters canoe trips, I have also used it farther afield. In 2014 my colleague, Paul Schurke, and I joined 6 Brazilians to retrace President Theodore Roosevelt’s 1914 first descent of the River of Doubt. This remote, and rapid studded river in the heart of the Amazon remains extremely wild. We planned to spend 5 weeks on the river without resupply so we would need to carry all of our food and fuel with us. We decided to take two Senior Littlbug stoves so that we could cook our meals using small sticks that we gathered on the sand bars and rock shelves where we would camp. This saved us a considerable amount of weight and expense because our party of eight would have used about 4 gallons of fuel during the expedition. Littlbug stoves allowed us to boil water and cook our food quickly and we rarely had to wander more than 100 feet to gather all the wood we needed. When folks think about that Amazon they often envision hordes of mosquitoes. Luckily for us, the mosquitoes were not bad because we were there during the dry season, but we enjoyed keeping a small smudge fire burning in one of the stoves in the evening to help keep our campsite bug free. Thank you Littlbug for making such a great little stove, and for helping to protect our public lands. The Boundary Waters belongs to all of us, and its important that we all speak loudly for this quiet place. A new, independent Harvard study proves that protecting a Boundary Waters-based economy creates more jobs than a Twin Metals mine. The Boundary Waters is good for business. Northeastern Minnesota’s diverse and growing Wilderness-based economy consists of numerous industries – including tourism and recreation, small businesses, healthcare, manufacturing, construction, services, forest products and taconite mining – which can coexist peacefully as long as sulfide-ore copper mining does not occur within the Boundary Waters watershed. This month, a new independent Harvard study was published to show the strength of the Arrowhead economy—over 72 times—in a first-of-its-kind economic analysis that uses a twenty-year period to examine the impacts of copper mining in the withdrawal-study area versus a 20-year mineral withdrawal. 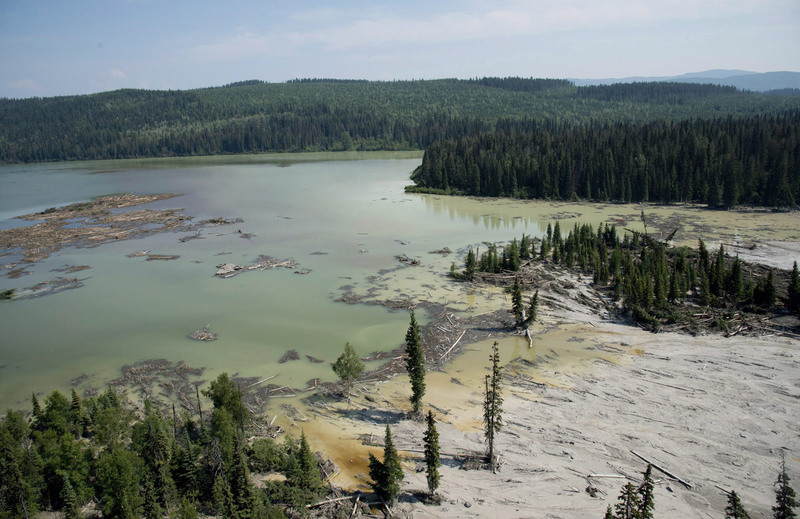 To do this, the independent economists modeled 72 different scenarios comparing the proposed 20-year ban versus a Twin Metals mine. In all but three of scenarios, the 20-year ban produced greater economic benefits. This means that in almost 96% of the scenarios, protecting the Boundary Waters from sulfide-ore copper mining won out, even under some of the most conservative circumstances. To make this long-term study unbiased, the authors left out additional variables, such as the negative impact of mining on real estate values, that would have otherwise made the economic advantage of protection even more stark. In conclusion, the study showed that a healthy Boundary Waters creates a healthy business boom for the long-haul: a 20-year mining ban would produce far greater economic benefit and diversity than the proposed Twin Metals mine with up to 4,500 more jobs and $900 million more personal income to the local area over 20 years if copper mining is banned. Here’s just one example of the growing, local economy that was recently featured by the White House at their Made in America event last month. Sawbill Lake, the 38th point of entry into the Boundary Waters, is one of the most beloved and memorable lakes for Boundary Waters explorers. In 1957, Frank and Mary Alice Hansen started up the renowned Sawbill Outfitters near the lake. Like many of the other outfitters surrounding the Boundary Waters, Sawbill Outfitters has helped make the Boundary Waters a more accessible Wilderness to people from all around the country. Head northeast and you’ll find your way past Brule Lake, with the potential to make it to Gunflint. Going northwest will take you towards Little Saganaga Lake and Kekekabic Lake. There are many route options for your trips out of Sawbill, so be sure to take the time if you can and get out to some of the places deeper into the Boundary Waters than you might not normally venture. Don’t pass up the opportuniy to visit Sawbill Lake if you get the chance. It will always be worth your while.